Nutritional Benefits of Kiwi Fruit: What Exactly Can You Get Out of It? Treat your digestive problems the natural way! The nutritional benefits of kiwi fruit have been highly discussed and supported by various studies. It is not surprising that this tiny, fuzzy fruit is considered one of the healthiest fruits around, given the amount of vitamins and minerals that it contains. In here, we will take a look at the nutritional profile of this delicious fruit. 1. Vitamin C. It has one of the highest levels of vitamin C among all fruits. Vitamin C functions as an antioxidant which protects the body from oxidative stress and is also known for helping the body’s metabolic process. The right amount of vitamin C can help protect the body from certain illnesses, particularly the common cold. It also helps lower the risk of developing cardiovascular diseases and other heart conditions. 2. Dietary fiber. The dietary fiber contained in kiwifruit helps regulate bowel movements. When a person is suffering from diarrhea or constipation, the usual suggestion is to eat high-fiber foods. This is one type of food where you can get enough dose of dietary fiber that can help ease your bowel movement problems. 3. Lutein. Kiwi is a natural source of lutein, a type of antioxidant particularly good at managing blood pressure. Studies have shown that people who suffer from high blood pressure and who consume reasonable amounts of kiwifruit daily have had their blood pressure levels lowered after a few weeks. This effect is attributed by experts mainly to lutein. 4. Prebiotics. The magical non-digestible food ingredients that can stimulate the growth of good bacteria in the gut have been found to be abundant in kiwi. These food ingredients help keep the digestive system well-balanced, induce metabolic activity and protect the body from digestive disorders, atopic diseases, infections and urogenital disorders. 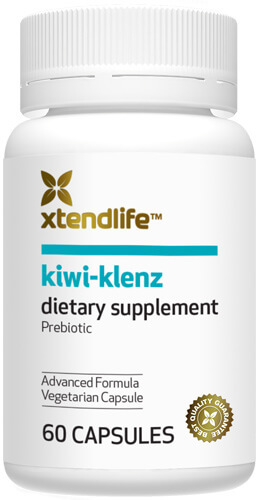 It is for this particular reason that kiwi has been used as base ingredient for the prebiotic nutritional supplement Kiwi-Klenz, which has been highly recommended by digestive health experts. 5. Vitamin E. Another important vitamin to the human health, vitamin E has been known to promote healthy skin and also good eyesight. Lack of vitamin E can lead to certain eye problems, including retinopathy, and skin problems such as blemishes, wrinkles and spots. Vitamin E also contributes to strengthening the immunity system of the human body. 6. Vitamin K. A healthy dose of vitamin K can help you avoid osteoporosis and other bone-related diseases. In Japan, the use of vitamin K is an approved method of preventing and treating osteoporosis. If you want stronger bones, you need to have enough vitamin K in your body and kiwi fruit may just be the thing that can give this to you. 7. Folate. Also known as folic acid, this vitamin plays an important role in cell division and growth. Women have always been advised to consume more folate during their pregnancy since this vitamin is best known for protecting against congenital malformations. It also helps protect the fetus from a number of diseases that may be caused by the medications being taken by the mother during her pregnancy. This protection provided by folic acid to the fetus is just one of the many nutritional benefits of kiwi fruit. Check out my new book on Amazon!